At Mike McCann Consulting we strive to train you in safe foodhandling techniques and give you as much knowledge as possible in your time with us. We want you to walk away with knowledge that you can easily implement in your workplace and your home life. Our courses are effective, concise, easy-to-understand, highly relevant and entertaining at the same time. Our comprehensive food safety training helps you quickly and cost-effectively educate your staff on critical steps for preventing foodborne illness and outbreaks. We share stories of food-handling practices that may be found in restaurants, care homes, bakeries, grocery stores, ice cream shops, butcher shops, deli's etc. - both good and bad. While we strive on quality we do ensure the day is entertaining as well as informative. All our courses are recognized by Saskatchewan Ministry of Health and All Health Regions in the Province of Saskatchewan. Our certificates meet the requirements of The Food Safety Regulations of Saskatchewan. Upon Successful completion of the course you will receive a certificate and be registered on Saskatchewan Ministry of Health's Provincial Foodhandlers Registry. We appreciate that you are taking an active role in learning to prepare and serve safe food. As a food worker, you will be making food for other people. They trust you to do all that you can to keep their food safe. It is your responsibility to safely prepare and serve food to them so they will not get sick. Our courses will give you the knowledge and tips to safely store, prepare, and serve food at work and home. Protect and Serve. 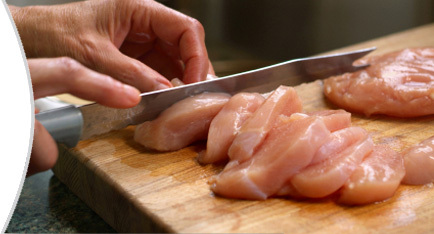 Your food safety education starts here. Remember that food workers using proper food safety practices are the most important ingredient in safe food. All you need to know is stay in the know. 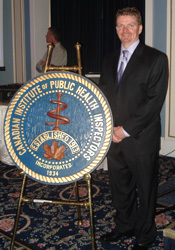 Welcome to the food safety training specialists... Mike McCann Consulting. We offer courses for individuals and groups. See course dates for a list of our scheduled upcoming courses. 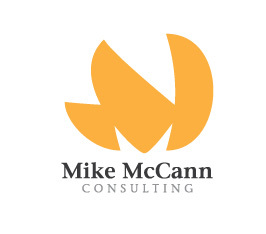 At Mike McCann Consulting we offer private courses for groups. You can have all your staff trained at your workplace. Mike McCann Consulting will customize our course to directly relate to the needs of your operation. We can incorporate your equipment and facilities into the course so you and your employees will get the most benefit. Please note that Mike McCann Consulting can also arrange a location for your group as well if needed. Mike McCann Consulting is rapidly becoming Saskatchewan's #1 choice for Food Safety certification training. Our commitment to excellent overall is one reason why. We travel throughout the province and offer competitive prices. Why do Food Service Workers in Saskatchewan need training insafe foodhandling? In Saskatchewan, The Food Safety Regulations require that a minimum of one person per shift must be present at all times, in the establishment, who has successfully completed a recognized course in Food Safety. Do not put your Brand Name at Risk, get trained in food safety today. One call and your Trained. Call 306.540.9868.